ITC, Oberoi Hotels and The Taj Group are digging into the pages of Indian history books. They pick up clues, chase the descendants of royal chefs, and conjure up dishes that are mostly forgotten. The past, it turns out, makes great future sense. Ravitej Nath, executive Chef at The Oberoi, Gurgaon, at the Jama Masjid. The 15-minute rickshaw ride with Ravitej Nath, Executive Chef at The Oberoi, Gurgaon, from Jama Masjid to the spice haven of Khari Baoli in Old Delhi, opens up an interesting conversation. "People talk of molecular gastronomy, the use of foams. But Daulat ki Chaat, which you get in Purani [Old] Delhi during winters, is a foam," he quips, as we pass Chandni Chowk. Molecular cuisine, pioneered by European chefs, induces physical and chemical reaction on ingredients to pack a surprise. Familiar flavours are rendered in new ways; mango balls can be made to look like egg yolk, while balls made from balsamic vinegar are disguised as caviar. Foams, often, are used for texture. The humble Daulat ki Chaat may also appear a product right out of a food lab - it is chemistry at work but not quite the way the West knows. Sweetened milk is whisked and left on the terrace of Old Delhi houses during winters. The churning forms a cloud. The cold and morning dew slowly solidifies it, giving the dish an unique appearance. "Playing with textures, temperatures, and the element of surprise, hallmarks of molecular gastronomy, is there in Indian cuisine too," Nath says. Perhaps, Indian gastrocrats don't respect Daulat ki Chaat as much. Perhaps, they don't know. Perhaps, they have totally forgotten such a dish exists, and could be quite luxurious if presented at the high table by the pool, in gold plated serveware, with a paired dessert wine, and a story weaved around it. Luxury addresses such as ITC, Oberoi Hotels, The Taj Group, and The Leela are trying to do just that. Dig into the pages of Indian history books, pick up clues, chase the descendants of royal chefs, and conjure up dishes that are mostly forgotten. The past, it turns out, makes great future sense. 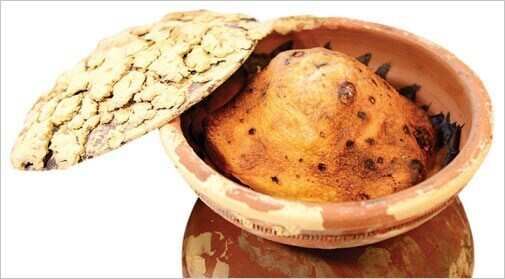 Food historian Pushpesh Pant calls it "the revival of culinary heritage project". 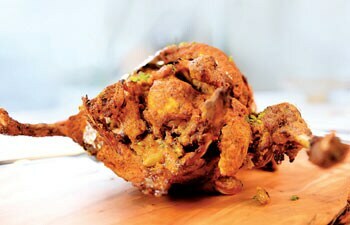 "We would like to bring back regional Indian food into being a more popular choice for people. It is not enough to say my grandmother makes the best dal. We would like those talents and recipes to come out in the commercial space and cater to a much larger audience," says Nath, as he picks up Khus ki Jar, Kabab Khandi, dried rose petals, and Paan ki Tehni - herbs nearly lost, and those that he plans to use at his restaurants. It makes future sense because the returns on investment in this revival journey can be rewarding. "Once recipes are retrieved, adjusted for contemporary palate and standardised, these can be included in menu and pull patrons with their novelty," says Pant. "Extra special exotic and expensive delicacies can be marketed for VIP guests. Or become signature dishes at landmark restaurants to be unveiled for Presidents and Princes. These become aspirational orders for others." Large segments of NRIs, attracted towards their own culinary inheritance, are also a target audience. "To my mind, it makes good business sense to shift gears and change course. Moguliya is passe. Tandoor and Galawat overdone. Time to look beyond and offer an unique special product (USP)," Pant says. Hotels do report spike in sales when such a USP is presented. Social media hype creates curiosity. The Taj Mahal Hotel in New Delhi ran a 'Saturday Nizami Brunch' between June and July 2015. Compared to a regular buffet, the hotel did 25 per cent more business. 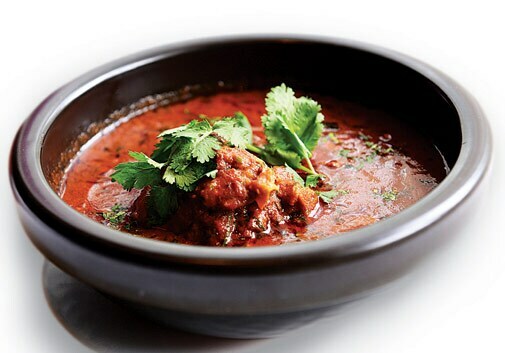 The Oberoi, Gurgaon, did roaring business with a food festival christened 'Lost recipes of the Mughal era'. Held between August 7 and 16 this year, it raked in Rs 14 lakh in 10 days. About 600 people tasted the fare. The Oberoi is the latest luxury chain to join the forgotten food bandwagon. Pant quips that the group is known for its partiality to Western cuisine but is now showing remarkable interest in revival of lost Indian recipes. 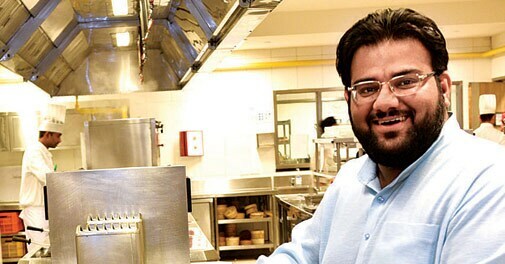 "The conclave of Oberoi chefs at Gurgaon to my mind is evidence of their serious commitment to Indian food," he says. In October last year, The Oberoi, Gurgaon, held a five-day 'Rivaayat' - the conclave Pant is taking about - to revive traditional Indian cuisines. They flew down 35 of its chefs from across the country to document, learn, discuss and experience forgotten recipes from Hyderabad, Delhi, Punjab and Awadh. The conclave brought food writers, historians and cuisine experts such as Osama Jalali and his mother, who specialise in Old Delhi cuisine, under one roof. Jalali's mother, Nazish, is from Rampur and moved to Old Delhi after marriage. The husband was a doctor and when cooks of the region took ill, they would pay back in food - cooked meals. The Jalali family, over the decades, became a custodian of many secret recipes Old Delhi cooks never share. Corporate Chef Manjit Gill (L) and Gautam Anand, vice president of operations planning and pre-opening services at ITC hotels. The hotel chain stresses on reviving lost cooking processes and forgotten grains. "One big problem is that Indian food is not documented; it is easier to cook a pasta than a Nihari in India. Now we have 40 recipes that have been documented. They are available in any Oberoi hotel. That was the target of the first conclave," says Nath. "The chefs went back and so far, Oberoi Hotels has done about 12 food festivals, apart from putting the fare on the menu," he adds. 'Lost recipes of the Mughal era' - the group's latest festival - packed many lost dishes with an element of surprise Nath was talking about earlier. Two of them are Parinde mein Parinda (smaller birds are stuffed into a bigger bird, Rs3,175) and Mutton Halwa (Rs442). This writer sampled Mutton Halwa. 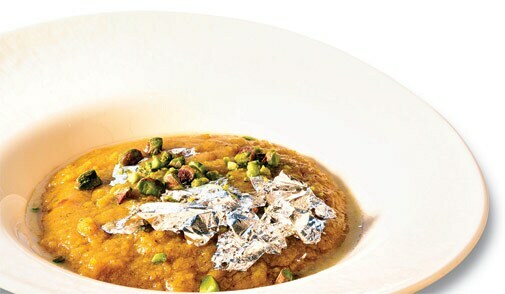 It came in a gold plated serve ware and appeared like a normal moong dal halwa. Surprise! It had extremely minced meat, superbly disguised. "I got two references for the dish but there were no recipes," says Jalali, who helped Nath with the festival. "One was from a fifth generation of Khansama (male cook) in Old Delhi and the second was a gentleman called Masoom Ali. He is 80. When he got married, his mother-in-law made it for him in Rampur." The first time chefs at The Oberoi tried, the dish ended up tasting like milk cake. It took several trials to perfect it. Persia may have influenced this fare - mutton and sweet were combined liberally in Persian cuisine, says Jalali. Humayun's wife was a Persian and must have introduced 'sweet meats'. Stories such as this sell. About 30 per cent of the dishes from the festival have now been included in the hotel's Threesixtyone Degrees restaurant menu. ITC Hotels, too, is a master at retelling the past in new ways. It has been a pioneer in heritage cuisine and it continues to invest heavily in research and workshops that fuel great food ideas. "When we started the company, there was a community researching Indian food and it was called the 'Kitchens of India'. That gave rise to Bukhara (North West Frontier cuisine) and Dum Pukht (Awadh)," says Gautam Anand, Vice President of Operations Planning and Pre-opening Services at ITC Hotels. 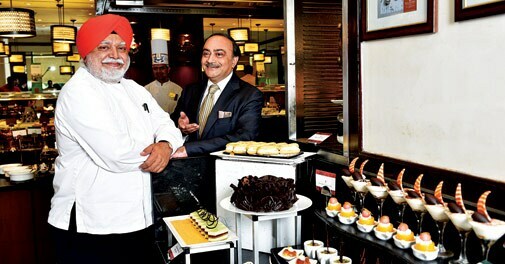 Anand, along with Corporate Chef of ITC Hotels Manjit Gill did a workshop of Kebabs in 2001. "Someone came and asked me 'Mr Anand where can I get the best Kakori Kebab?' I could do two things - shoot him or go and check where we were going wrong," says Anand. "We were the fountain head of Kakori Kebabs. We said we will do 100 kebabs in a workshop. We archived, tested, verified. From there, came K&K," he adds. K&K or Kebabs and Kurries, is an ITC restaurant brand that serves Quarmas, Qaliyas, and Salans, apart from Kebabs. ITC is now planning a workshop on rice. Chefs are meeting anthropologists and agriculture scientists. "Till we started work, we never knew there is something called bamboo rice," says Gill. "We found bamboo rice in Kerala. It is white-brown in colour and is subjected to a process with the chlorophyll of bamboo. It is a forgotten rice." 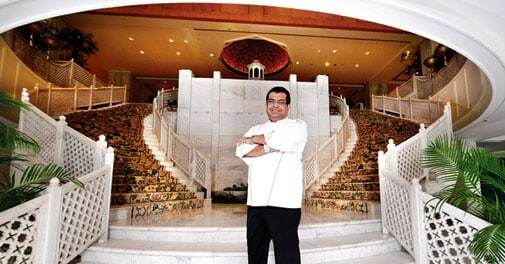 Arun Sundararaj, executive chef of The Taj Mahal, researches Nizam cuisine. He cooked up a Nizam's Khichri during its June food festival and, hold your breath, it had 30 ingredients! For Gill, revival does not mean dishes - it means the process of cooking and often, rare ingredients such as this rice and other grains. 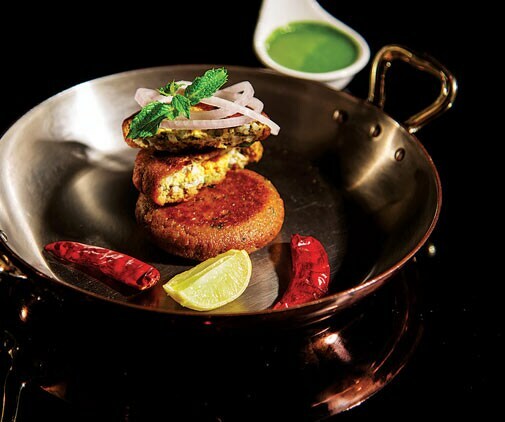 One afternoon at the ITC Maurya in Delhi, he made this writer taste several of what he calls Swasthya cuisine or health cuisine - a concept that is being incubated at the ITC Grand Bharat in Gurgaon. Bajra Khichdi and Visikara are two of them. Visikara, particularly, is an example of a lost process being revived: in this ancient fatless chicken broth, chicken paste is fed into the stock to make the gravy richer. 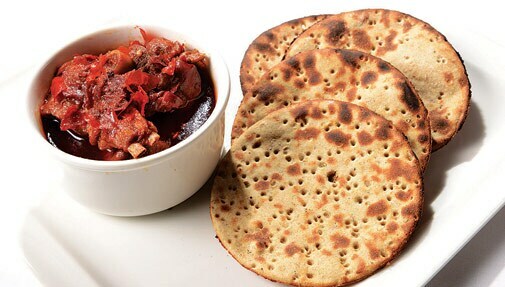 "People remove fat from the mutton and try to make a fatless Roganjosh. But there are hundreds of fatless dishes in our cuisine," says Gill. 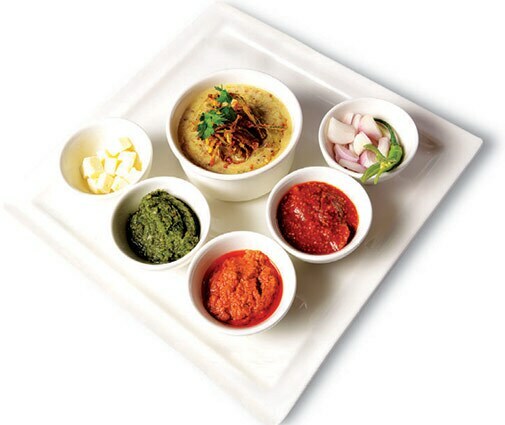 Today, onion, garlic, yogurt, cashew nut and almond paste are used to get the desired body of a curry. "This sort of a luxury was not there in ancient times," the chef adds. The reverse is true as well. Some luxury dishes of the past are not only difficult to conjure up, they may be nearly impossible to take in today, even if you have a large stomach real estate. Chef Arun Sundararaj, Executive Chef of The Taj Mahal, who researches Nizam cuisines, cooked up a Nizam's Khichri during its June food festival. Hold your breath - it had 30 ingredients, including reduced lamb stock, lamb, chicken mince, partridge bird, three types of lentils, almond paste, cream, butter, ghee, and 10 spices! That's easily a 5,000 calorie dish. The chef's advise to the curious: Take it in small potions.